A high quality door is an important investment as it says a lot about you and your house. A bifold door can transform your home and flood it with light and air. It can also make a very special transition between house and garden. If you live in the Finchampstead area and are considering buying a bifold door then you must see what Camberley Glass and Windows has to offer. We are a local company which has been supplying the people of Finchampstead and the surrounding area with bifold doors for many years, and we jealously guard our reputation as a trusted and professional company offering good advice and giving value for money, which is why much of our business comes from personal recommendation. 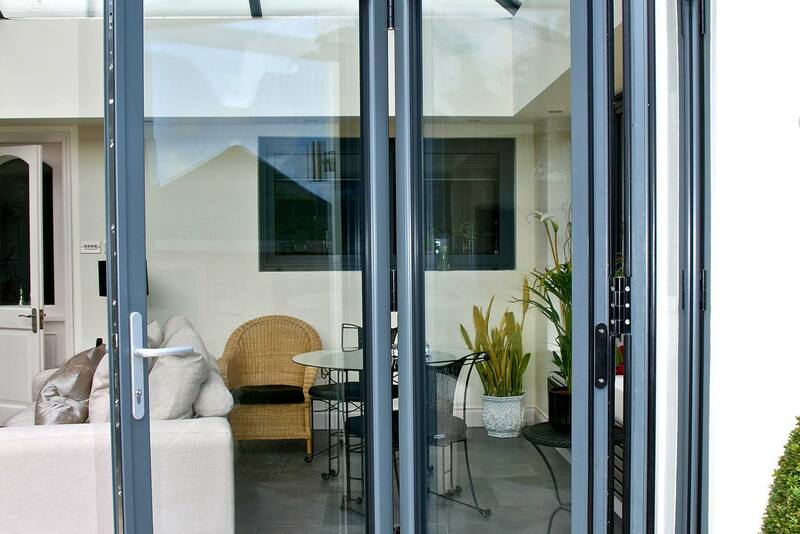 Bifold doors are complex pieces of kit and you need some good advice when making a choice. Our knowledgeable team, who are all fully-qualified and FENSA registered, will give you specialist advice on the correct choice of door to suit your needs. Camberley Glass and Windows has a justifiably good reputation in the industry which can be verified by a glance at our high ratings in Checkatrade. We are also on the list of Buckinghamshire and Surrey Trading Standards Approved traders, and have many testimonials to our successful work on our web page. Our showroom at our offices in Camberley, Surrey is the place to see what we can offer. Why not visit us to pick up a brochure and chat to our friendly staff who will be happy to answer any of your questions without any pressure selling.